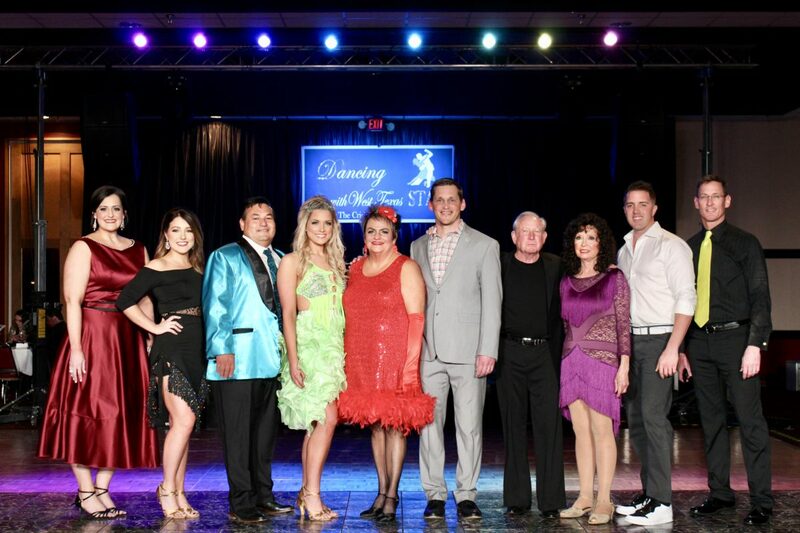 The fourth annual Dancing with West Texas Stars was the most successful yet! Thanks to all of those in attendance and the hard work of our ten West Texas Stars, our largest fundraiser of the year netted $245,000 to fund the mission of Crisis Center of West Texas! These funds will cover two months of expenses for our agency, kicking 2018 off to a great start. A huge thank you is in order for our ten stars: Barbara Atkins, Blake Batte, Derrick Bush, Justin Carrigan, Catherine Daniels, Tatum Guinn, Lucinda Hurlbut, Mallory Langford, Nelson Minyard, and Gus Ortega. Their commitment to our cause played an enormous part in the success of our event. We can’t forget the countless volunteers who made the evening go smoothly. We are so grateful for everyone involved! The evening was full of both impressive and entertaining performances. Mallory Langford and partner Michael Greenwell took home the prize for Best Female Dancer, Blake Batte with partner Kelsey Bourg Tanner brought home Best Male Dancer, Catherine Daniels and partner Enrique Romero were awarded Most Entertaining, and Derrick Bush with partner Janet Ansley claimed Best Costume. Gus Ortega blew us all away and claimed the Grand Prize after raising $42,150 for Crisis Center of West Texas. Check out our Facebook page for all of our photos from the event! Find the OA’s photos HERE. Find the article: Good sports dance for good cause in Odessa HERE.